The Village Life, Part One—Bulgaria. 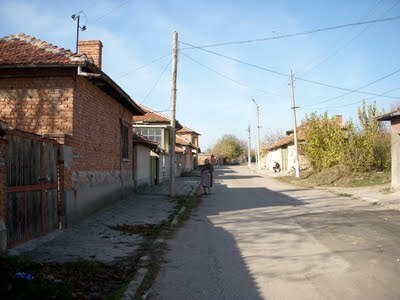 The month of November in Bulgaria this year has been unseasonably warm; somedays reaching 70*F/22*C. The last couple of weeks I have been taking random pictures of the village for the reader to get a good idea of the village life in Bulgaria. On Saturday my neighbors butchered up a cow and a big pig. I found the process to be very educational. I got some great pictures of guts, blood and all the gory aspects that consists of butchering up an animal, pictures will be posted soon. This is one of my neighbors, the gate you see on the right is where I live. 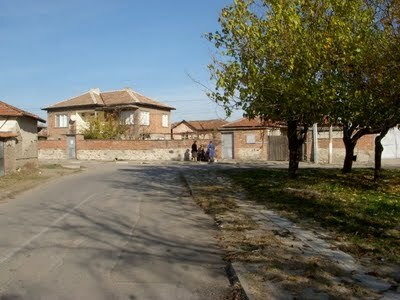 I will be posting a series are articles of the village life here in Bulgaria. The top picture, facing the opposite direction that the above picture, is my street. The house where I live is on the left, pass the car across the street from the green trash can. 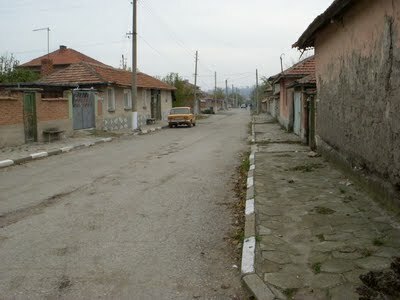 This is the view of most small villages in Bulgaria. Most houses in the villages have brick walls that create privacy within the home and garden area. Most places that I have traveled have surrounding walls that inclose the property. Some cases the walls define land ownership, also, it can prevent any type of wannabe thievery intrusions. Even though the inclosed comfort zone is cordial, it seems to create odd energy out on the street. I adverted before that outside my gate can consist of a strange energetic undercurrent that transmutes. 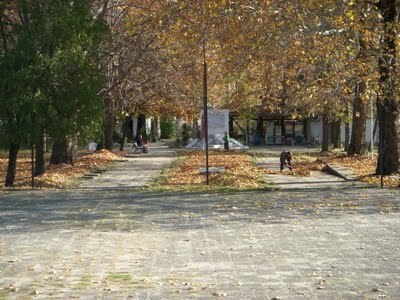 The above picture is the street I walk down to the store and the library, facing this direction, my house is to the left. The ladies that are talking by the bench, and about everyday and they always ask “where am I going”, which my answer is the same everyday. The above picture is the town center, the building you see in the background is one of three cafes, I am taking the picture from the red building pictured below; the library with fast DSL is within this building. 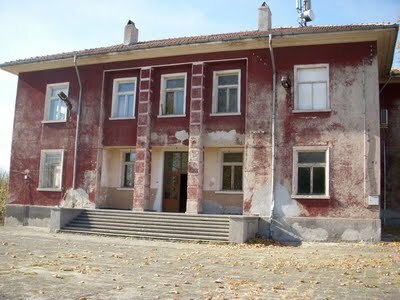 During the Soviet era they played movies and presented plays in this building. Next post: The Village Life, Part Two—Bulgaria. Previous post: More Bulgaria and Lou Dobbs.